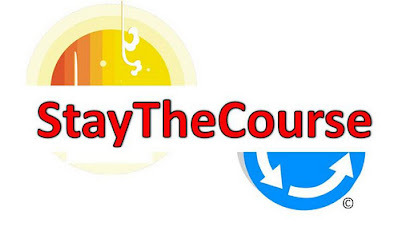 CombatCounselor Chronicle: Beware of TweetAdder and Other Twitter Time Management Programs...Your Twitter Account Could Be Suspended! Welcome to CombatCounselor Chronicle, an E-zine dedicated to giving you the most current, pertinent information on cognitive behavioral therapy (CBT) and mindfulness-based CBT available. Chris Sorrentino, a.k.a CombatCounselor, is a leader and expert in cognitive behavioral therapy. He combines 30 years of experience in psychology with the discipline from having served as a U.S. Air Force officer for 20 years, 4 of those in combat zones, retiring as a lieutenant colonel in 2005. The Leader in Military and Veteran Psychology ... Follow Me to Mental Health! Beware of TweetAdder and Other Twitter Time Management Programs...Your Twitter Account Could Be Suspended! Already having nearly 550 followers on Twitter @CombatCongressman after only two weeks and thousands more on my alter egos, @CombatCounselor, @CombatCritic, @3rdWaveMediaGroup and others (I am a very busy and diversified guy), I needed a time management tool to help me. 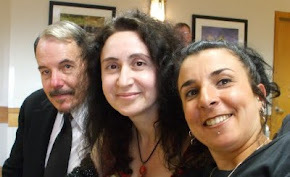 I believe it is important to connect personally with each person who follows me, sending them a personalized tweet or direct message (DM), whenever possible, to thank them for taking the time to listen to what I have to say. I really appreciate the fact that complete strangers enjoy the things I talk about and take the time to follow me, retweet (RT) my posts, and "favorite" my tweets. I simply wanted to find a way to automatically #followback those who followed me and send them a personal message when they did. Of the seven tools, a site called TweetAddder seemed like just what I needed, http://www.tweetadder.com/, so I signed up for the FREE service to try it out. All I did was set it up to auto-follow new followers and send them a DM, thanking them for following me...that was it, or so I thought. I normally do most of my social media catching-up while on the elliptical at the YMCA and the day after I started TweetAdder, I noticed that when I tried to access my @CombatCongress account, Twitter took me to the sign in screen and would not accept my log-in information (on my Android phone), something that has never happened before. I thought it was strange, but went on about my business with my other accounts. It was not until the following day that I tried to login to my @CombatCongress Twitter account from my computer when I received a message "Your account has been suspended for aggressive following", something apparently against their rules of engagement. Twitter never bothered to warn me before taking action, they simply suspended my account, removing all of my 500+ followers and the hundreds I had already followed myself. I had to check two boxes, promising not to do "IT" again, whatever "IT" is, and the one telling me that if I did it again, my account "COULD BE TERMINATED". If I did something wrong, may Twitter should tell me EXACTLY what it was so it will not happen again. I was smart enough to figure out that the new program I installed two days before was generating problems that Twitter did not like, so I shut it down immediately. As a word of caution to other unsuspecting Twitter users and computer users in general, be very careful about what you load on your computer and which permissions you allow the program to access, including performing processes that you did not intend to permit. I know Twitter's basic following and unfollowing, spam, and other rules, but many do not. So be very careful or you could have your account "SUSPENDED" without notice. Mine is a new account, established on February 1st, 2013 and I already have 544 followers. I was averaging around 35 followers each day before the suspension, when Twitter too all of my privileges, followers, and the people I was following away. In the two plus days it took to figure out, then have Twitter reinstate my account and replace my data, a process they said would take an hour , but took well over one day, I gained only four (4) followers. I am a candidate for congress in Missouri's 6th Congressional District and one vote could make or break my chance at election. Did Twitter's over aggressive policies hurt my ultimate chances? Did Twitter irritate some of my followers who had no idea what was going on, as if I did, and sway them to look elsewhere or unfollow me for not responding to a comment or question submitted during my account's suspension? We will never know. 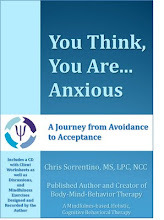 Chris Sorrentino is a leader, expert in cognitive behavioral therapy, and creator of Body-Mind-Behavior Therapy. He combines 35 years of experience in psychology with the discipline from having served as a US Air Force officer for over 20 years. Follow me to Mental Health! 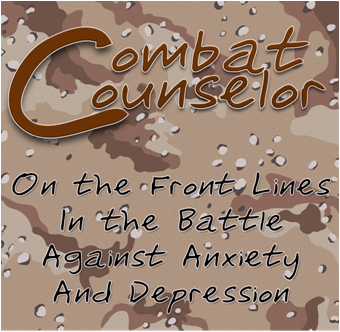 Follow my blog, The CombatCounselor Chronicle, and read about cognitive behavioral therapy, PTSD, military and Veterans advocacy and much more. CombatCritic was recently awarded TripAdvisor "TOP CONTRIBUTOR" as well as Yelp* "ELITE '14" status! 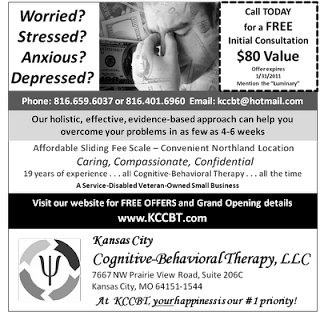 Emotion-Focused Therapy Versus Cognitive Behavioral Therapy...What Next? Trouble Sleeping? ... Join the Club! "Follow Me to Mental Health"
Follow CombatCounselor and Help4VetsPTSD on Twitter! On the front lines in the battle against anxiety and depression. Besides hosting his popular YouTube series, CombatCounselor Q&A (CombatCounselor Channel), Chris was recently interviewed by Diane Cho of KMBC News (Kansas City) for a piece on Gaming Addiction and was recently asked to provide behavioral commentary for Fox News on a missing toddler who has drawn national media attention. 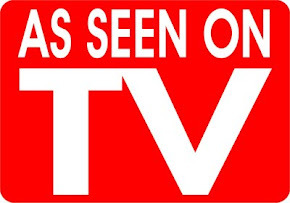 He also appeared on national television (NBC) on six separate occassions for a total of nearly three hours. He has appeared on Truth or Consequences, You Don't Say and was a contestant on Hollywood Squares, winning $62,000 over a four day period. Follow CombatCounselor...Enter to Win an Autographed First Edtion of "You Think, You Are"
Follow CombatCounselor for a CHANCE TO WIN an autographed, limited-first edition of his new book, You Think, You Are...A Journey from Avoidance to Acceptance. CombatCounselor Q&A - Episode 3: What Can I Expect in Therapy? 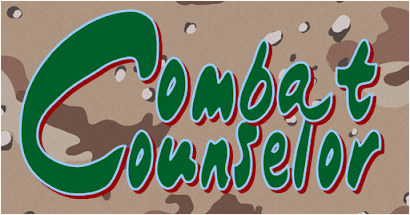 CombatCounselor Q&A - Episode 2: Client Beware! Focus on the present moment with the willingness to be curious, experiencing uncertainty in an accepting way without fighting or controlling our experience. 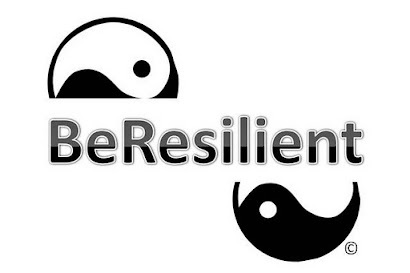 Resilience is a quality that helps to combat stress, anxiety, depression, and other negative mind states. Copyright 2011-2018 - CombatCounselor ™ and 3rd Wave Media Group, LLC - All Rights Reserved. Picture Window theme. Powered by Blogger.